Most food prep areas and Diners have a narrow, elevated top near the cooking area to set hot plates on while they await pickup. 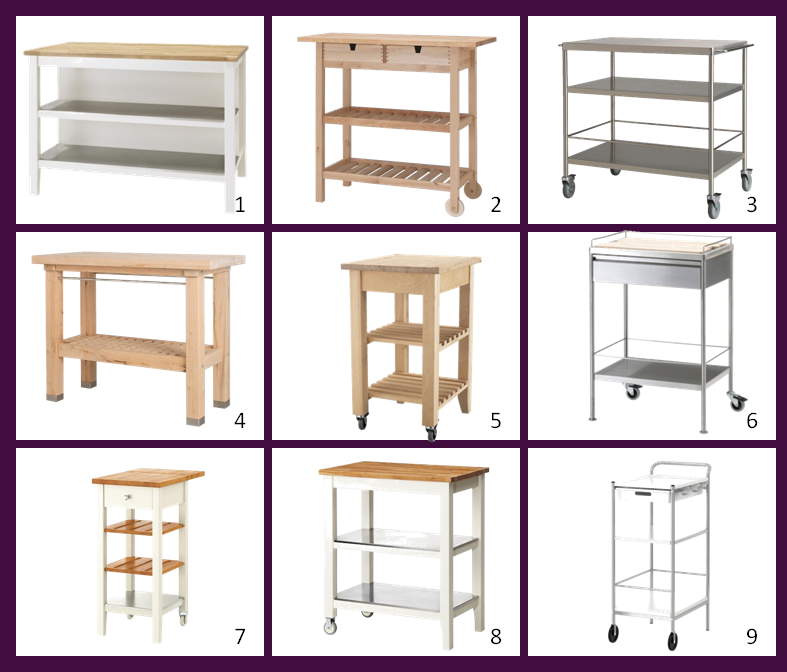 The elevated top works well as a staging area for just prepared foods and the space beneath is ideal for day-to-day plates, napkins and utensils. 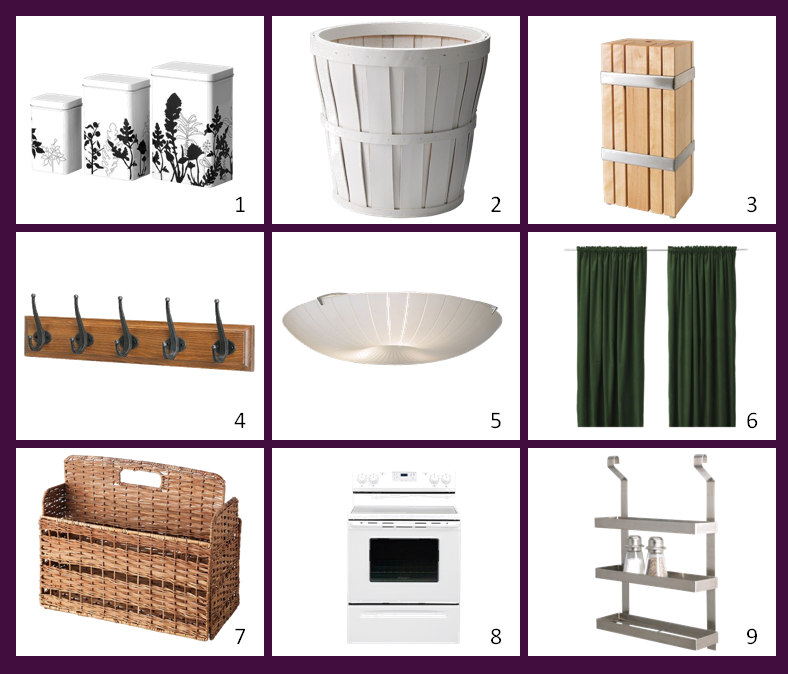 This week’s island is a simple yet useful design. 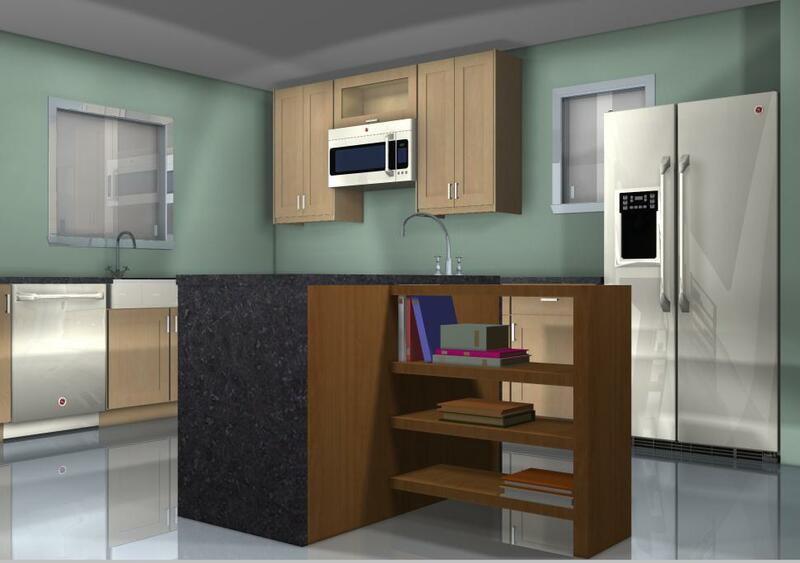 Design two 36″ full height door cabinets for a total length of 72×25 . 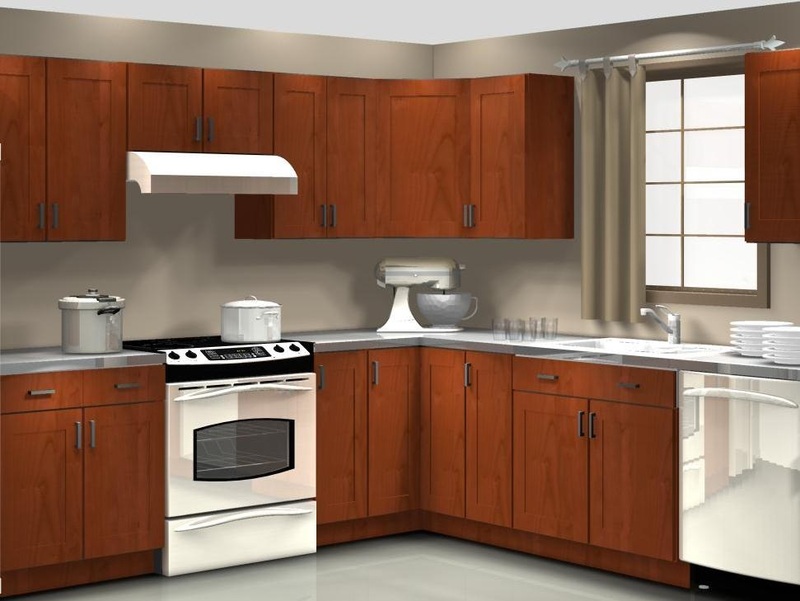 . . or adapt for a smaller space by using two 24″ cabinets for a total of 48×25. Using a solid wood countertop for the raised top, such as Numerar (in oak, birch or beech), provides a durable work service for hot pots and pans. 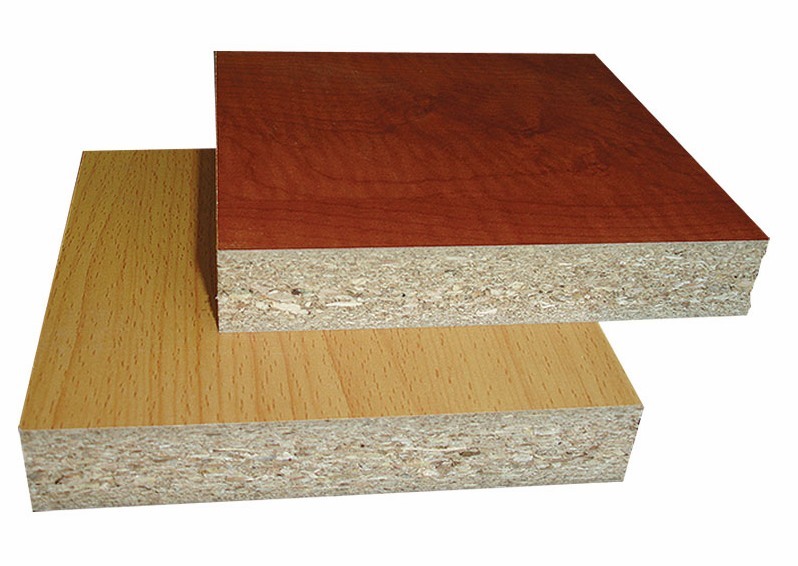 To support an 8” wide raised top cut two 12” doors to 7” wide x 8” high for each end. Then enclose the back with paneling. 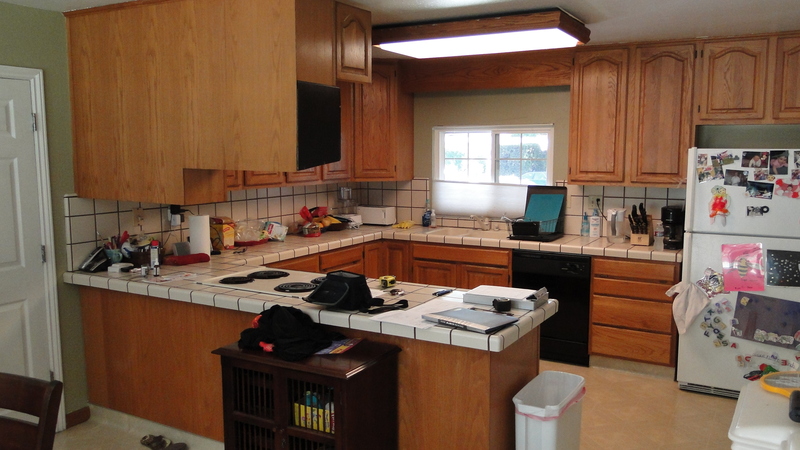 The raised top area should not take more than 1/3 of the counter space, otherwise the area will be uncomfortable to use. 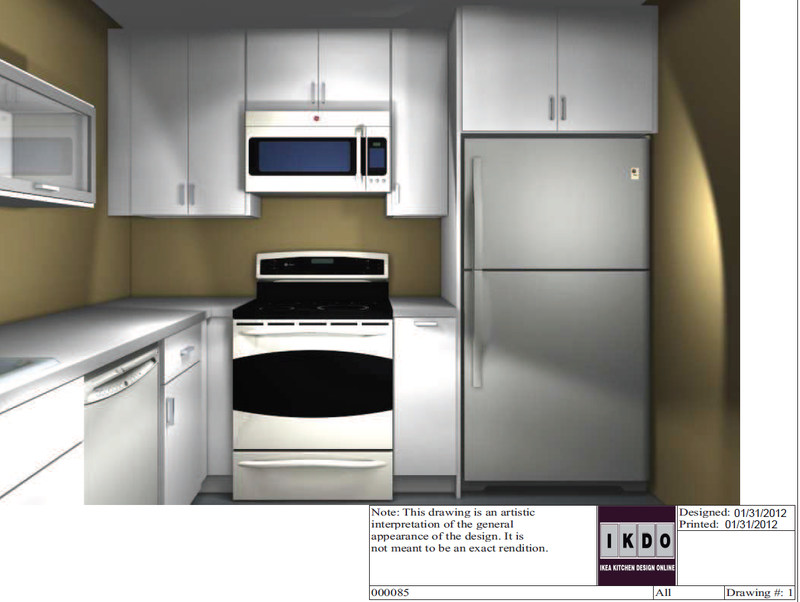 What’s the right type of Wall Corner Cabinet for my Kitchen? One of a designer’s first decisions is how to deal with the corners. 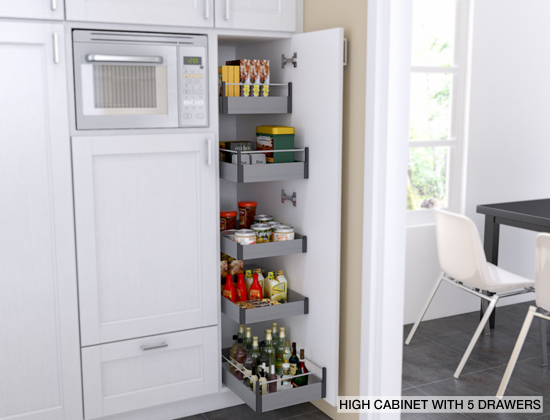 Often there’s not enough or too much space – so that the corner cabinet ends up as sort of a “shock absorber” for all the cabinets. 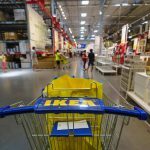 The IKEA catalog only specifies a single wall corner cabinet – though there are at least three more corner design solutions. 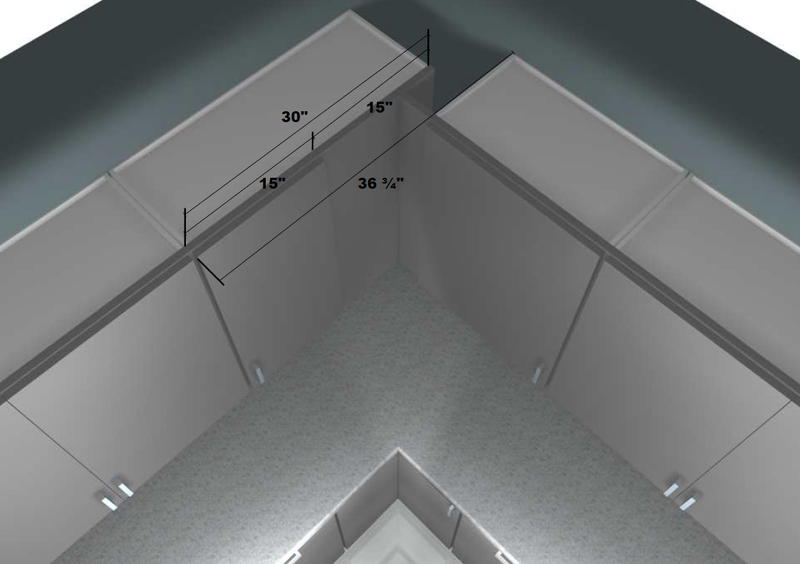 An irregular measurement of 15” along one wall with, say, 25” to 30” along the other lends itself to a “blind corner”. 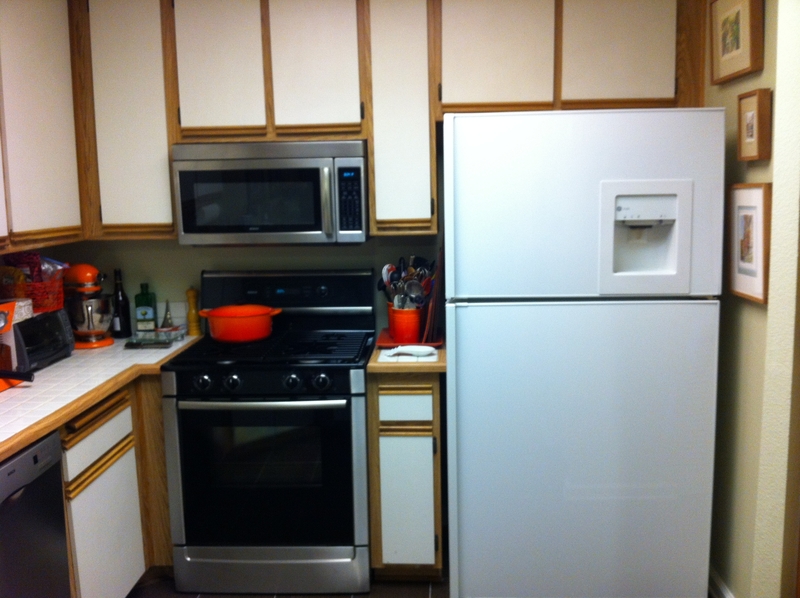 Modify an ordinary 30″ or 36″ wall cabinet by removing one door and covering the space with paneling in order to create a custom blind corner cabinet. Then recess it into the corner alongside the cabinet that’s perpendicular to it. 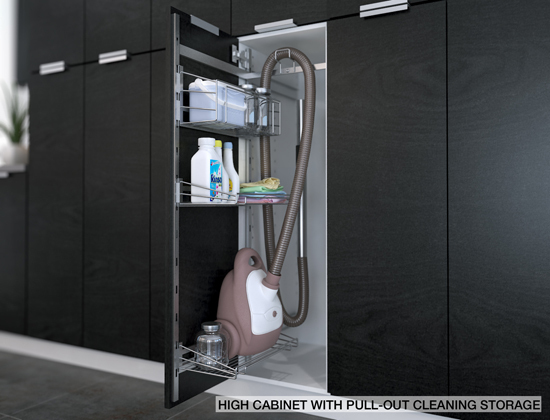 It offers additional storage that’s best for items that are not used that frequently since they’re harder to reach into. 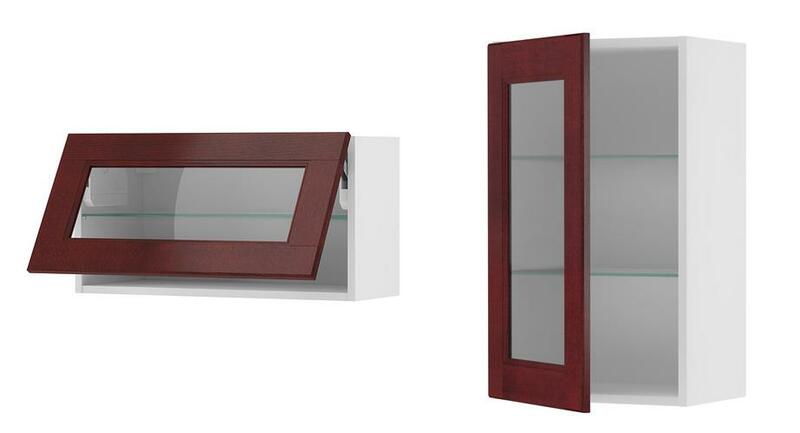 A minimum 30″ wide cabinet is required to match the depth of the rest of the wall cabinets (12″ 7/8). 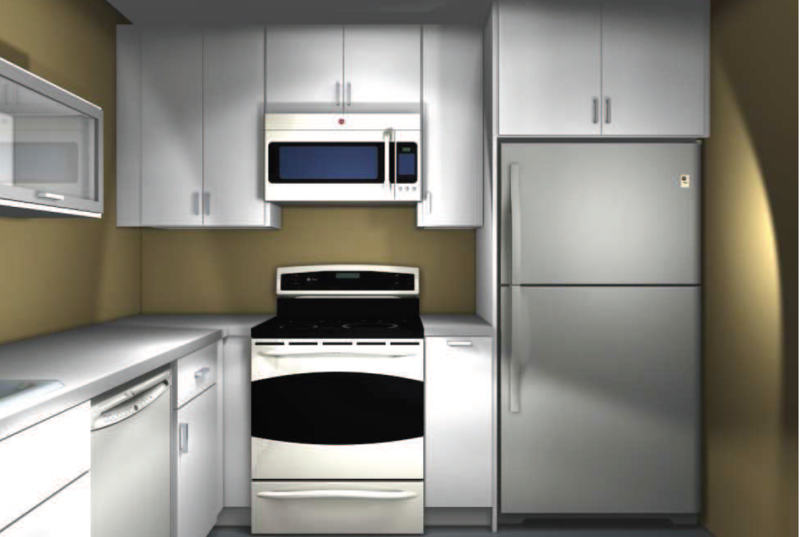 If a 24″ cabinet is used, the cabinet door will not open. The final option is to not obsess about the corner and fill the space in with shelves. 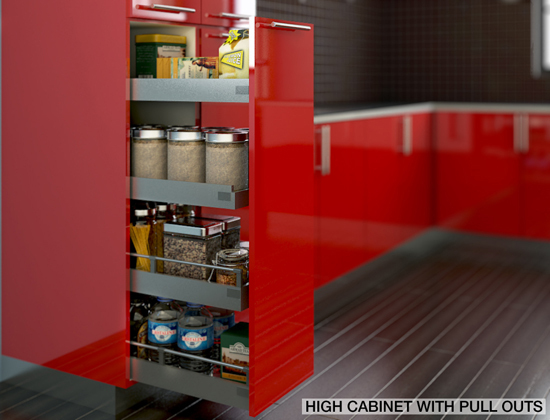 All kitchen wares are visible and accessible leaving this option as the most practical. At least 15” of shelves are suggested. Lack shelves are ideal. See below . . .
Cookbooks, current magazines, pamphlets ought to be close-at-hand. 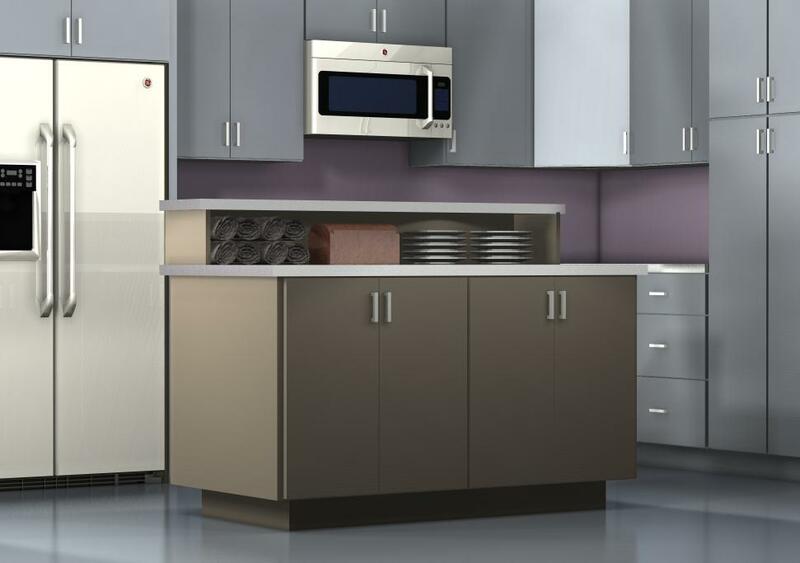 Better that they be placed below the island – where food prep and eating takes place – than put away in a high cabinet. Also, they look unique and add some fun to the kitchen. Build them by using Lack wall shelves that come in a variety of colors – for you to unleash your creative side. 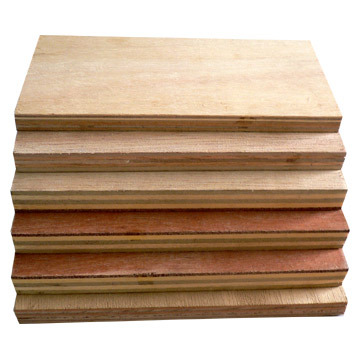 They measure 43 ¼” long and 2″ thick; five are enough to build a three level bookcase. 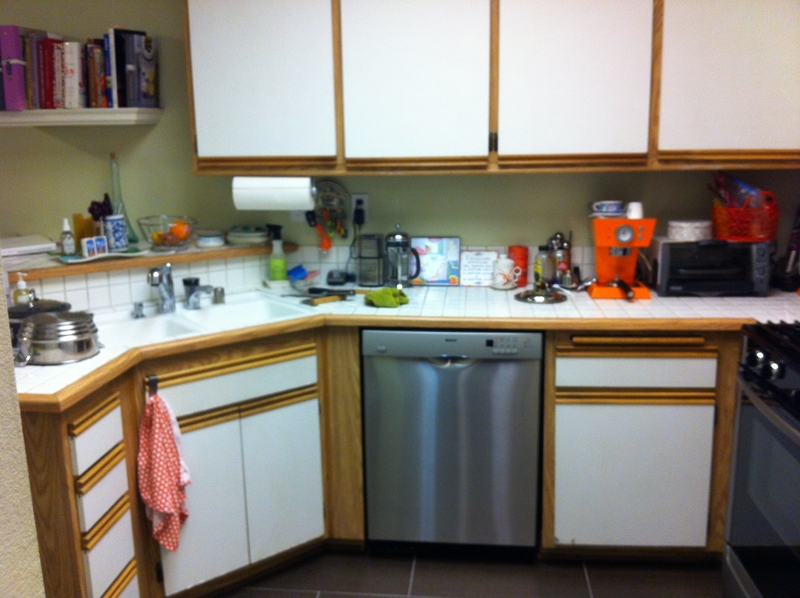 Continue the same countertop on to the shelves or leave the top the same color as the shelves. 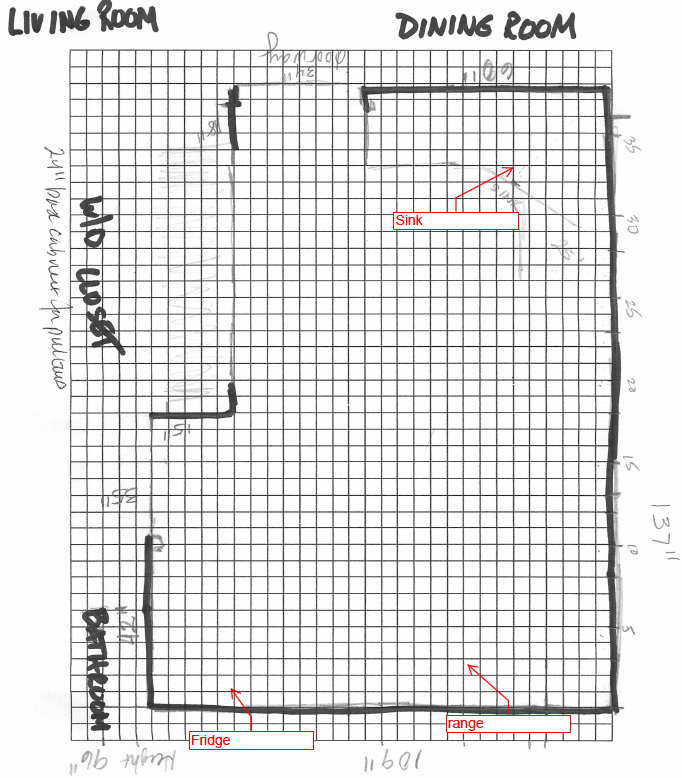 The total dimensions of the island shown above are 60″ wide x 70″ deep. 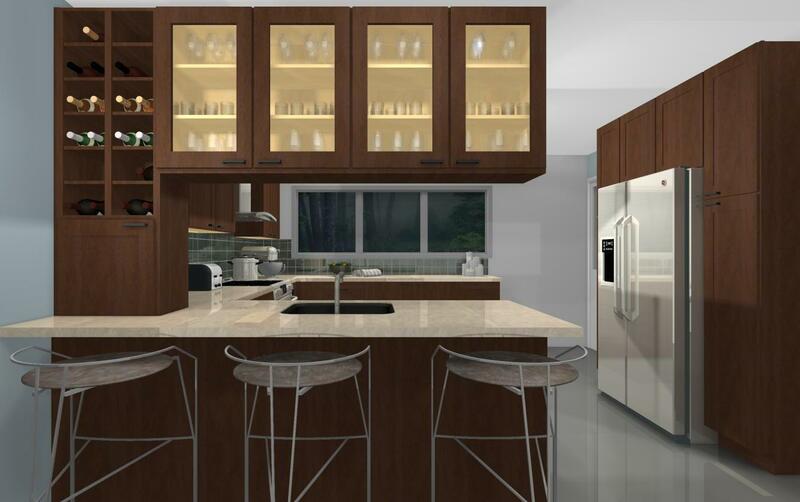 Trim the shelves down to an adequate size if your kitchen space is smaller . . . . also, consider attaching the shelves to the back, paneled side of a normal island. 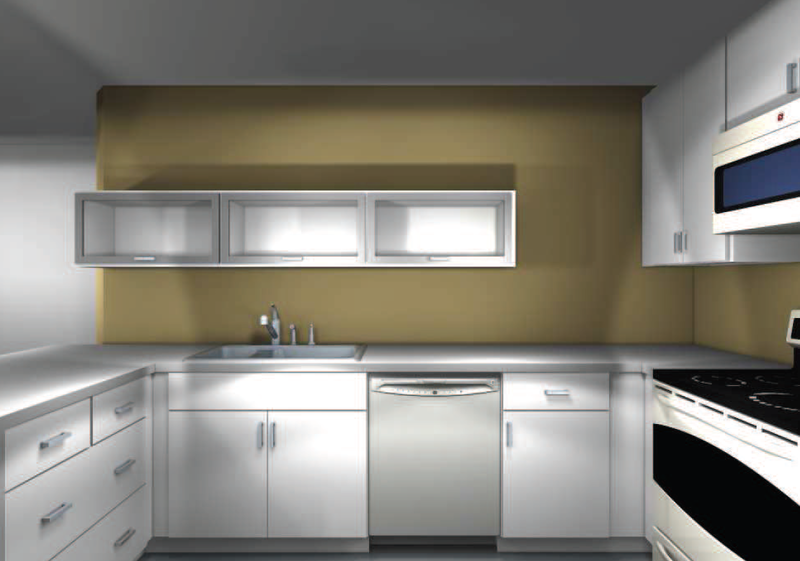 Kitchen cabinets shouldn’t be restricted to the kitchen – they work, and look, just as well in the bathroom. 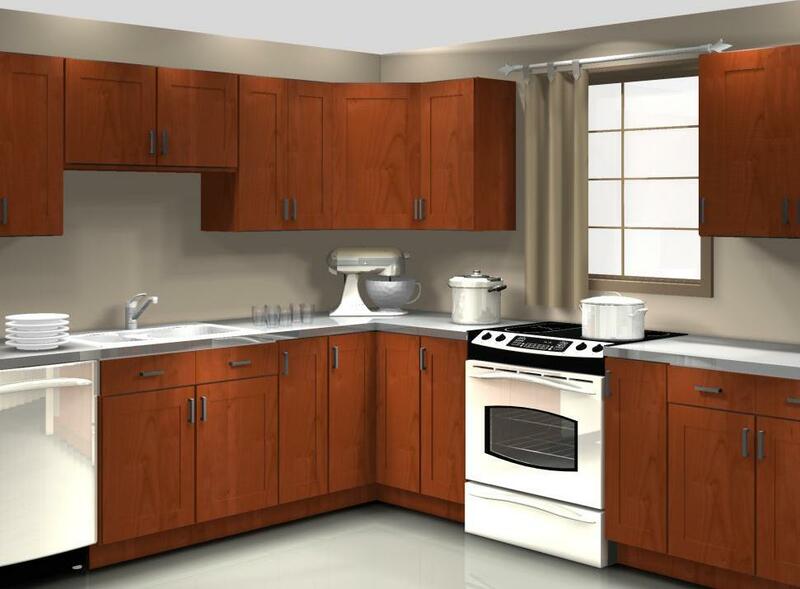 You can design IKEA vanities with AKURUM kitchen cabinets. 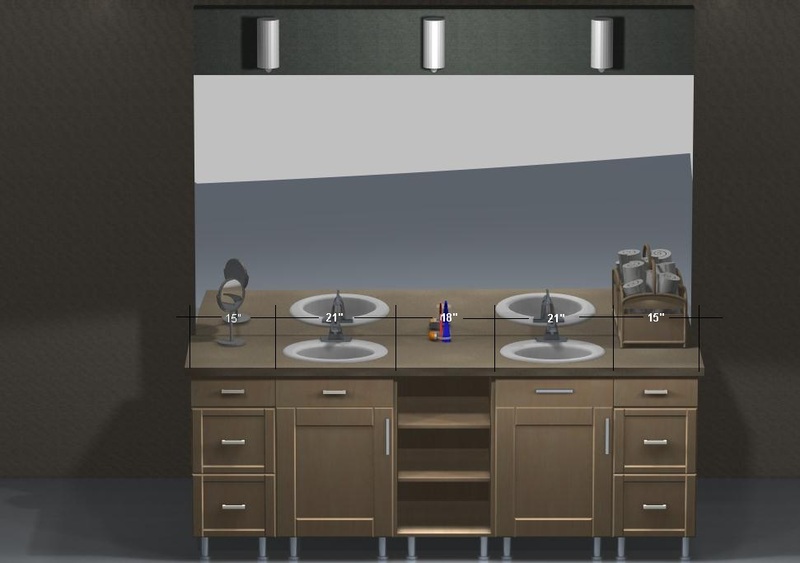 Just design two 15″ drawer cabinets at the ends for items such as personal care and make up; two 21″ sink bases to store toiletries; a Rationell waste basket (can be used as a hamper) – and an 18″ wide base cabinet, turned into open shelves cabinet by removing the door, for easy access to towels. 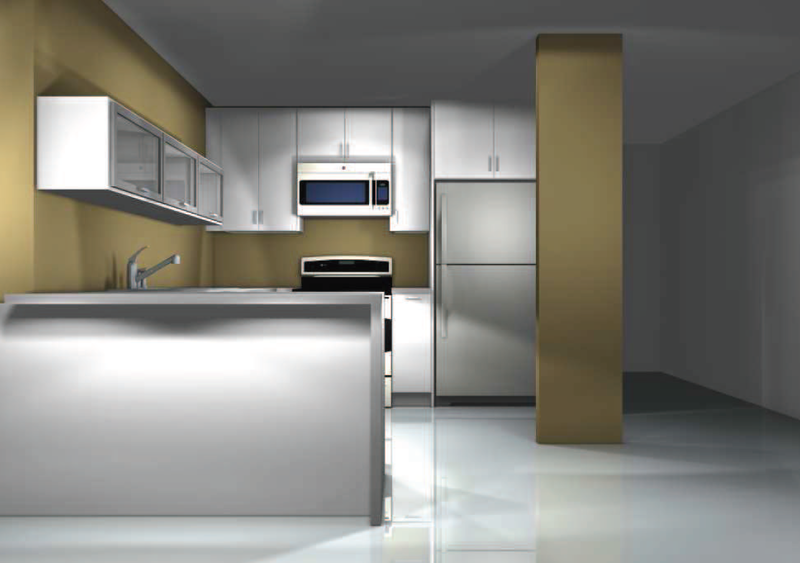 Use 4 ¾” stainless steel Capita legs instead of toe kicks. . They’re available in sizes up to 8 5/8” for higher vanities. 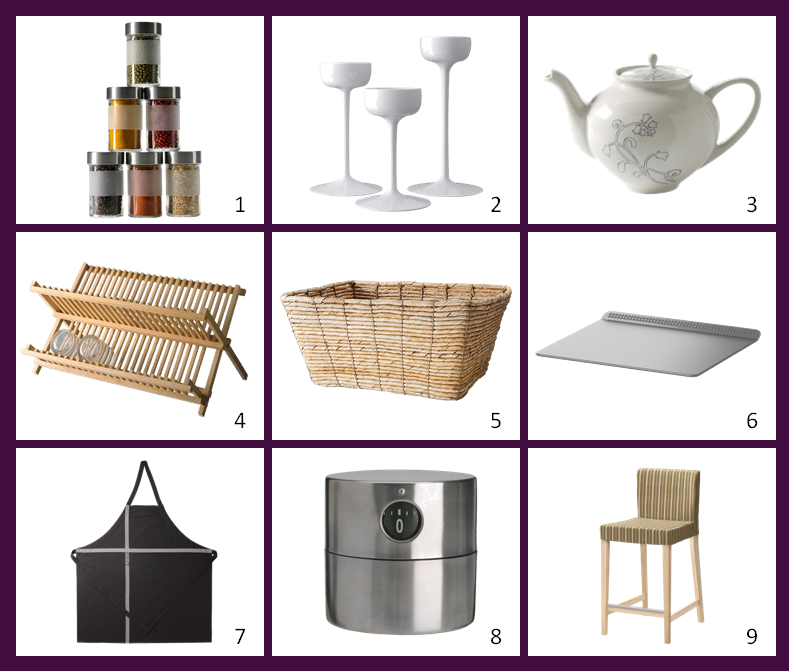 Useful kitchen spaces: Peninsulas that work! A peninsula should be more than a museum for Great Grandmother Ethel’s antique tea cups. What better place is there for a cocktail than at a bar adjoining the kitchen? Glasses, bottles and stools are all within reach . . . . ice and mixers are just steps away! Have a drink and a chat while waiting for dinner to be served. Small spaces and apartments with an open kitchen area are ideal for peninsulas. They’re great room dividers, storage and eating areas. 3’x 8’ panels must be cut to cover the seams on the side of countertop cabinet wine cabinet – and along the bottom of the glass cabinets. 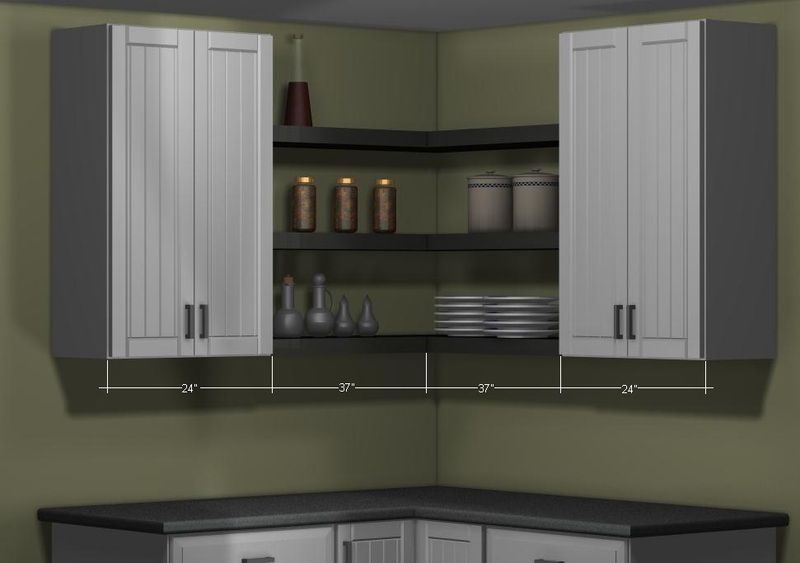 The “kitchen” side of the peninsula isn’t shown; instead of a simple panel to cover the back of the ikea wall cabinets, install false door fronts for a finished look. Ceiling heights are critical with peninsulas . . . they either need to be fastened to the ceiling or a soffit. 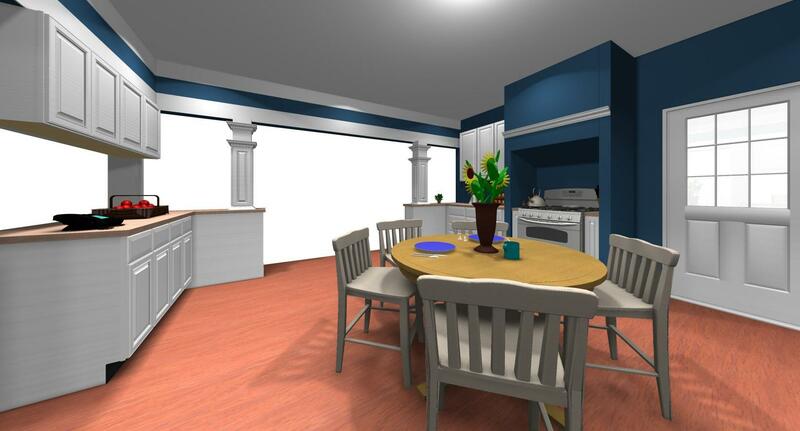 The soffit or ceiling must be no lower than 96” for 39” wall cabinets or a soffit at 87” for 30” high wall cabinets. If free space is desired above the ikea wall cabinets and ceiling then a small steel column and under cabinet beam must be designed. 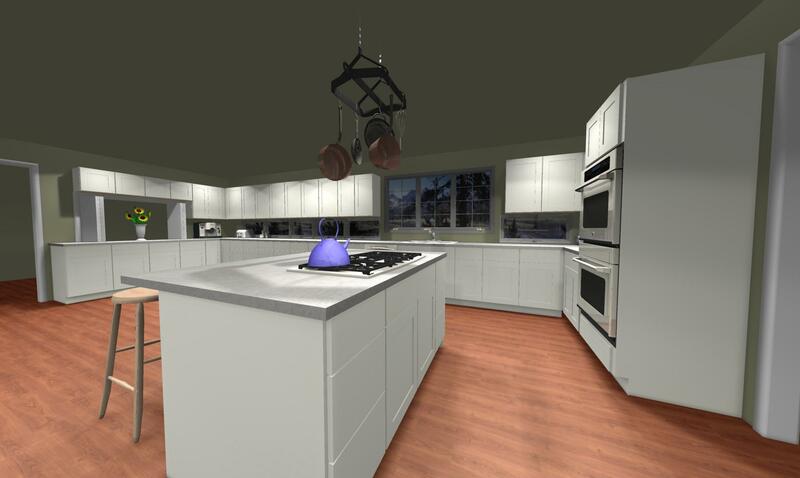 We’ve all been there: we’re trying to create the perfect island for the kitchen and the ideas seem contradictory. However, there’s no need to sacrifice looks for functionality! You can have them both with a gorgeous two-level island. Just take a look at our example. 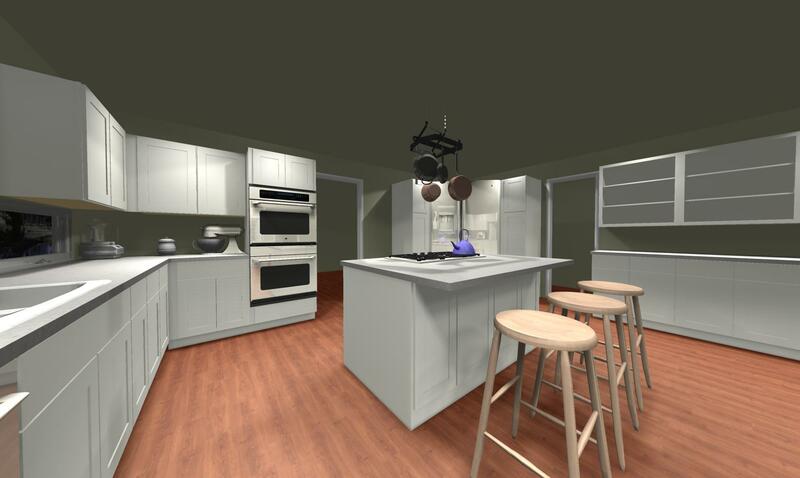 The taller half of the island (shown above) may look as if it is the more important of the two because it houses the cabinets and wares while providing a good work surface. The shorter half could also look as the more important of the two because people like it better: it’s the perfect area for an informal get-together. Both are important for your kitchen! 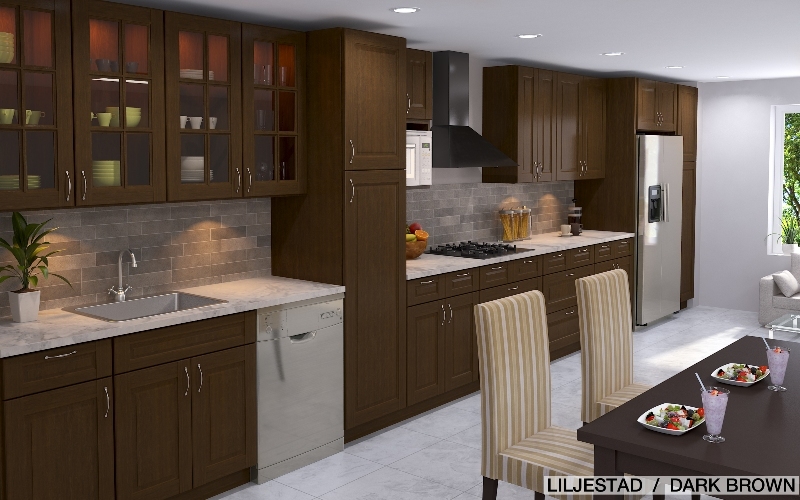 There isn’t a need to use more than two cabinets to achieve a distinct look for your kitchen island. By using countertop materials, normally granite or quartz, a box can be built around your cabinets for a clean modern look. 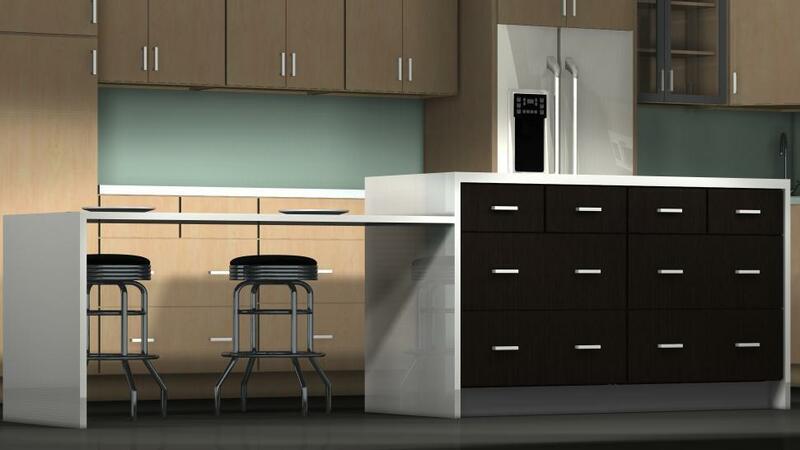 If you have space for a 72″ x 26 island (including counter), then design two 36″ four drawer base cabinets; this configuration can be done in a much smaller scale using just two 15″ cabinets. Put a full panel to cover the back and wrap it with granite. Is there still room to spare? 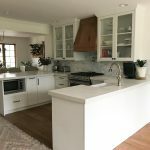 Attach another top about 12” lower than the island and support it at the other end with the same material for a wide open and minimalist look that very practical You’ll need at least 48″ for four stools.